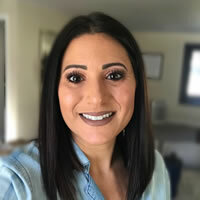 Jennifer A. Roccoforte is a licensed clinical psychologist who received her doctorate in clinical-developmental psychology from the University of Illinois at Chicago. Dr. Roccoforte also received training in marital and family therapy at the Family Institute and in cognitive therapy at the University of Chicago. Her areas of interest and expertise include the treatment of adolescents, eating disorders, grief counseling, divorce recovery and cognitive-behavioral interventions for depression and anxiety. 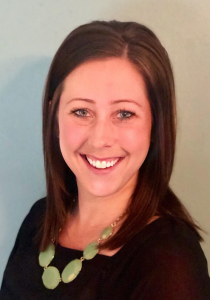 Dr. Meg Kwak is a licensed clinical psychologist who received her doctorate from Western Michigan University in Child Psychology and her specialist degree in School Psychology. She utilizes cognitive-behavioral strategies with children and adolescents who have disruptive behaviors and depressive disorders. She also works with children and adolescents whose anxiety intereferes with optimal functioning. Prior to working in private practice, Dr. Kwak was on staff at a children’s psychiatric hospital in an intensive outpatient program. 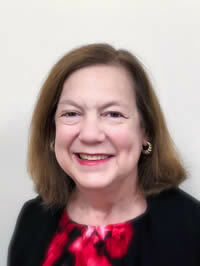 She is a certified school psychologist with a number of years in the public school setting. Additional areas of interest include family therapy and social skills development. Truer words have never been spoken. Life is about daring greatly. Taking healthy risks, setting boundaries, embracing WHO you are, WHERE you are, and WHY you choose to do what you do, without hesitation. We will never be perfect. But so many of us strive to be. Stop chasing perfection! Instead, rally during difficult times in your life, confront uncomfortable feelings, make the difficult decisions, and be confident in it all! Partnering with me during the therapeutic process will help you achieve this. My personal philosophy is that Therapy IS NOT meant to be easy. You are here to get outside of your comfort zone. You are here to grow. As a therapist, I believe in embracing our vulnerabilities in order to learn “who” you really are and “what” you really want. I will push you, hold you accountable, encourage you to take risks, and challenge you to overcome your fears, because that is what therapy should be. You will gain confidence, both in yourself and in your decision making. You will feel the comfort and safety that comes from learning to sit with uncomfortable feelings. It won’t be easy but it’ll be worth it! I’m a licensed clinical professional Counselor (LCPC) in Illinois. I earned my Bachelors degree in Psychology from Purdue University (Go Boilers!) and my Masters degree in Clinical Professional Psychology from Roosevelt University. During the therapeutic process I will utilize, cognitive behavioral therapy, solution focused therapy, motivational interviewing and family systems to help understand the dynamics within the individual and family. I pride myself on creating a comfortable, laid back therapy environment, which allows you to open up and embrace the therapy process and maybe have a little fun along the way! 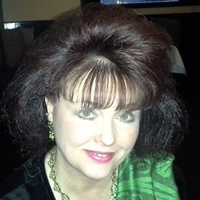 Brigid Janiak is a licensed clinical social worker who received her Master’s degree from St. Louis University. She holds a certification in school social work and has worked in the public schools for many years. Ms. Janikak also has considerable experience in the hospital settings where she supports children with a variety of psychological needs. Ms. Janiak counsels children, adolescents and families. Her particular areas of interest include anxiety, social-emotional issues, depression and school functioning. 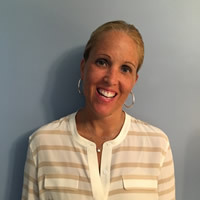 Dana Daluga is a Licensed Clinical Professional Counselor (LCPC). She specializes in anxiety, depression, relationship issues, and substance abuse. She believes that everyone has their own strengths, and that therapy can be a way to find and use those strengths to come to a more positive solution. She sees therapy as a way to learn about yourself and receive feedback in a neutral, judgment-free environment. She uses a client-centered, cognitive behavioral approach to therapy, and believes that having a genuine, attentive, and empathic therapist is the key to a true connection in therapy. She also works with clients to address errors in thinking in order to make a behavioral change. She most enjoys working with individuals, couples, and families. She has evening appointments, as well as Fridays. As a Licensed Clinical Professional Counselor, my passion for working with children and adolescents began early in my career. I have been fortunate enough to serve hundreds of children and families over the years and feel I have learned as much from my clients as I have taught them. I consider it an honor to go on a journey with my clients and watch as they overcome adversity and celebrate the small successes in everyday life. I take an eclectic treatment approach to my work, and I strongly feel that no two clients are the same. As such, therapy needs to be tailored to each individual. I pride myself on creating a safe, fun, and comfortable environment for my clients to explore their issues and reach their therapy goals. I specialize in working with children as young as age four (4) years old, teens and young adults struggling with issues such as depression, anxiety, self-harm, grief and loss, divorce, peer issues, school-refusal, and behavioral difficulties. In addition, I have extensive experience treating child and adolescent survivors of sexual abuse as well as other areas of trauma ( e.g., parental abandonment, neglect, and verbal and physical abuse). Using different treatment approaches such as Cognitive Behavioral, Play Therapy, Solution-Focused Therapy, and Motivational Interviewing, I strive to help my clients live a happy and fulfilled life while overcoming past struggles. My philosophy is that someone’s struggles are just one piece in a much larger life puzzle. I think collaboration with parents, schools, and other care givers is crucial to client success and I encourage open communication with all parties involved, while still respecting client privacy and confidentiality. I received my Master’s in Clinical Psychology from Western Illinois University, and I regularly attend trainings to ensure I am up to date on the most effective treatments for kids and teens. I try to practice what I encourage in my clients, so self-care is important. When I’m not in the office, you can most likely find me at the dog park with my rescue lab mix! Rebecca Bier, Psy.D., M.A., LCSW, is a clinical psychologist with over 25 years of professional therapy, testing and evaluation experience with children, adolescents and families. Her clients typically seek therapy for problems such as ADHD, anxiety, autism spectrum disorders, behavioral problems, children of divorce and loss, couples counseling, depression, divorce counseling, eating disorders, learning disorders, and parenting. In addition to providing therapy and psychological testing services to support the above conditions, she also offers diagnostic evaluations and therapeutic recommendations for bariatric surgery evaluations, emotional problems, executive function disorders, learning disabilities, and memory problems.